The new insider city guide and your backstage pass to the world. How would you like to know Charli XCX’s secret bar spots or where Metronomy like to grab a late night bite after a show? 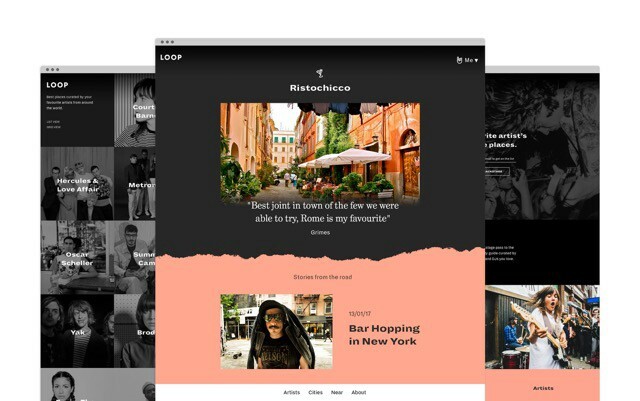 Step up Loop, billed as ‘your backstage pass to the world,’ it’s a new insider city guide curated by the coolest bands and DJs for the best places to dance, drink and eat. The new platform designed by agency Six:Thirty and built by Julian Keenaghan already has an impressive set of artists on board. As well as Charli XCX and Metronomy, you can also get cool tips from the likes of Hercules & Love Affair, The Allah Lahs and Shamir. As it’s creators have pointed out the popularity of the book Where Chefs Eat shows our desire for more succinct recommendations from those who know best. It is after all far too easy to get lost in a sea of contradicting Yelp reviews. 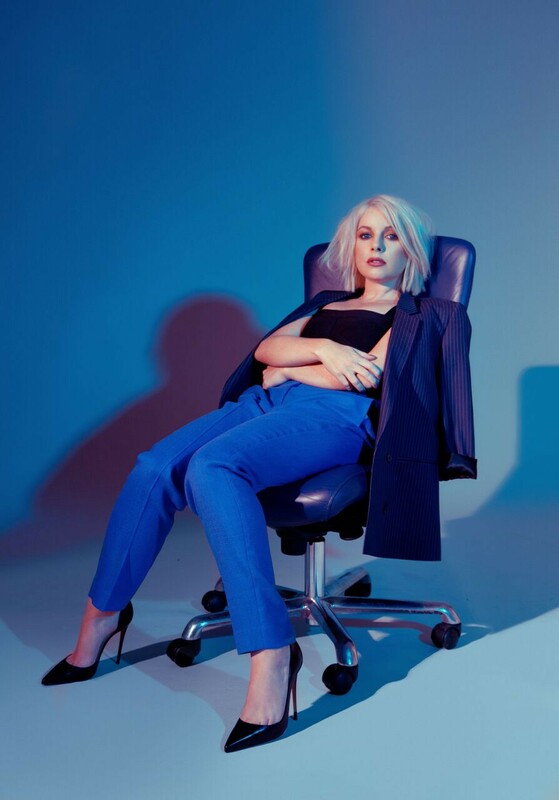 Victoria Hesketh aka Little Boots is one of those behind the project. Not content with being a record label boss and gold-selling pop artist, she wanted to do something ‘different’ after the release of her last album. SheSaid.So spoke to her about the platform, her new life in LA and also gave us some pointers on how to make your side-projects happen. How did Loop come about? I’ve toured for years and a lot of my good friends are touring musicians as well. So many times you would end up in a place and didn’t know where to go and we would all share tips. We made this little network and thought wouldn’t this be great if it was more accessible to everybody? Why do you think musicians know the best places to go? Being on tour in a band you get really good at having 24 hours somewhere and getting the most out of it. That’s all you’re going to get there, so it becomes a special ninja skill. There’s also a big link between music and that world. Many musicians are opening up bars and restaurants, James Murphy has a wine war and Seth Troxler has a BBQ restaurant. It’s a similar kind of passion. It’s entertaining people but in a different way. You recently moved to LA. Can you let us know about any recent discoveries? I’ve been going to LA for years. I’m kind of LA obsessed, but there’s so many new places that open all the time, it’s impossible to keep up! I went to Moby’s vegan restaurant last week that was really good. I’ve been eating a lot of vegan food at the minute, I’m not actually a vegan, but LA makes it’s so easy. I had this thing called the Impossible Burger, which tastes just like meat and it’s completely vegan and the texture, the taste, everything, it even bleeds…it’s so weird, but delicious. How does LA compare to London? I think after nearly 10 years in London, I was ready for a change. People here are more positive and less stressed and anxious. I love London, really love it, but it can be an intense place to be. After 10 years I stopped doing new things and now to be in a new place feels really exciting! Most of the top songwriters in the world are in LA and I think there’s a reason for that. It lends itself to a creative lifestyle. People have a bit better life, work balance. There are mountains, ocean, beach, hills and desert. It’s quite an inspiring place to just get outside. You mentioned Loop being a passion project. What advice would you give to anyone that has an idea but is scared to do something for fear of failure? In music everything is a huge fear of failure, but you just have to put yourself out there and never be scared of feeling foolish or feeling fake. If you’re feeling like you’re about to get found out then you are probably doing something right! The thing with Loop is that it’s totally out my…I’m a musician, it wasn’t really in my skillset before, but I think if you can surround yourself with good people and you have passion and a vision for where it’s going to go then you can make it happen. In London, I was lucky to get into the tech startup network. There are so many startup programs and accelerators and people are very open. Once you start putting yourself out there, everybody wants to help each other and in turn, you want to help everyone else. If you’ve got an idea, use what’s around you. Just look at Dice [London based ticketing platform], they’ve gone from zero to huge. Totally. I did some accelerator programmes where I met some great people who went out of their way to help me and in turn I’m now doing mentoring for Techstars in LA. You have got to learn from people and pass it on. The music industry for a long time has felt like a guarded place; it’s not historically an open, transparent industry. There’s definitely interesting things happening and I hope the future is more transparent and more collaborative both with other industries like tech and just people with each other. Is there anything else you’re working on that we should know about? I’m working a new EP that’s all female, so female producers, mixers and mastering engineers and hopefully for the artwork and videos. Everything! We want it to be a completely female produced project from start to finish. I’m working on tracks for that, songwriting, expanding Loop, DJing a lot and building a new live show! You can’t rest on your laurels, you can’t say, I just do this one thing. Not many artists have the luxury to not do lots of different things. Being an artist now is not just about writing songs, it’s about so much more than that. You have to be flexible and spread your bets, well, at least as an independent artist you do. So how do you maintain a balanced lifestyle?